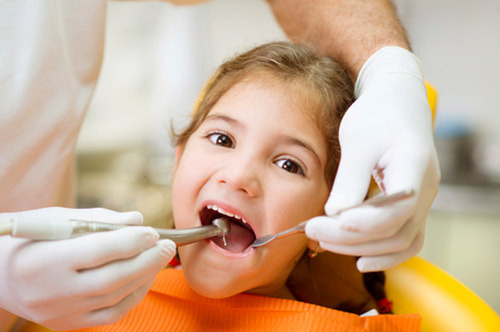 Pediatric crowns are recommended when a cavity is very large. In cavities such as this, placing a large composite filling in a small baby tooth would weaken the structure of the tooth considerably. Therefore, in large cavities placement of a pediatric crown (or “cap") provides the tooth with the best structural support and long-term prognosis. There are a variety of different pediatric crowns from which to choose. For baby teeth in the back of the mouth, Dr. Nick often recommends silver pediatric crowns. Most often, this is completely covered by insurance. Alternatively, Dr. Nick can provide white crowns on both front and back teeth; however, there may be an additional expense as this is often not a covered benefit through dental insurance. Dr. Nick will discuss the options for your child if this treatment is recommended.